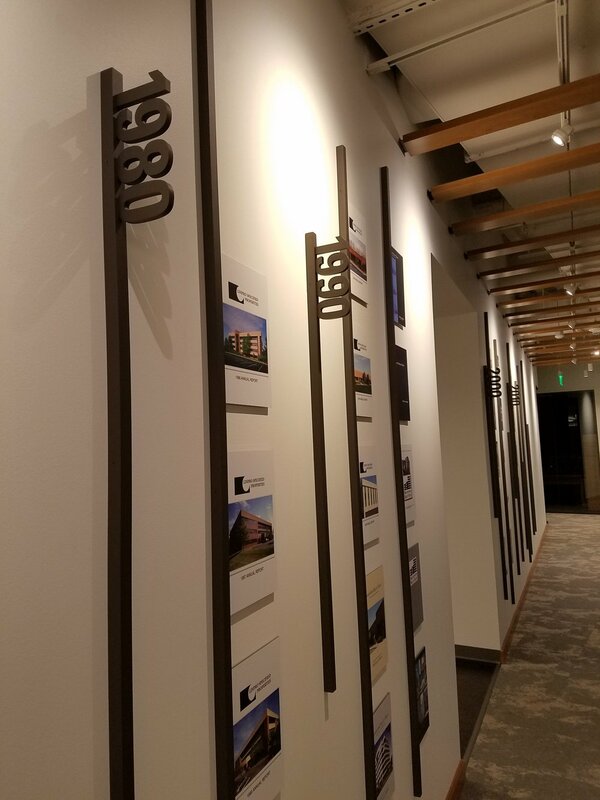 Designed, Produced and Installed by PMDI Signs, Inc. 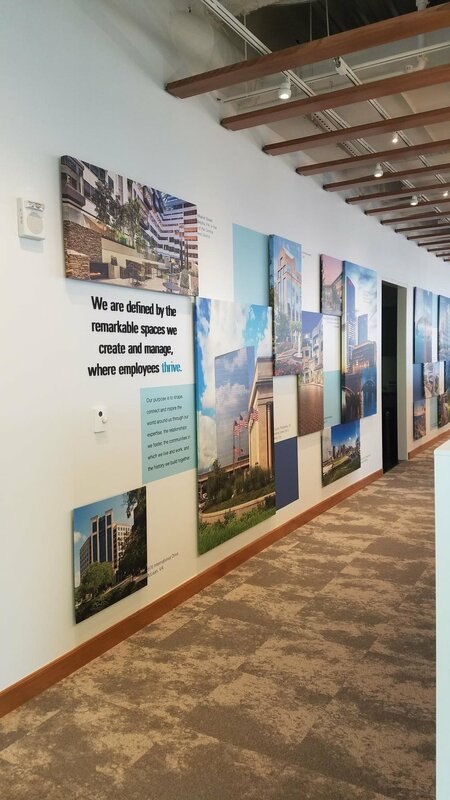 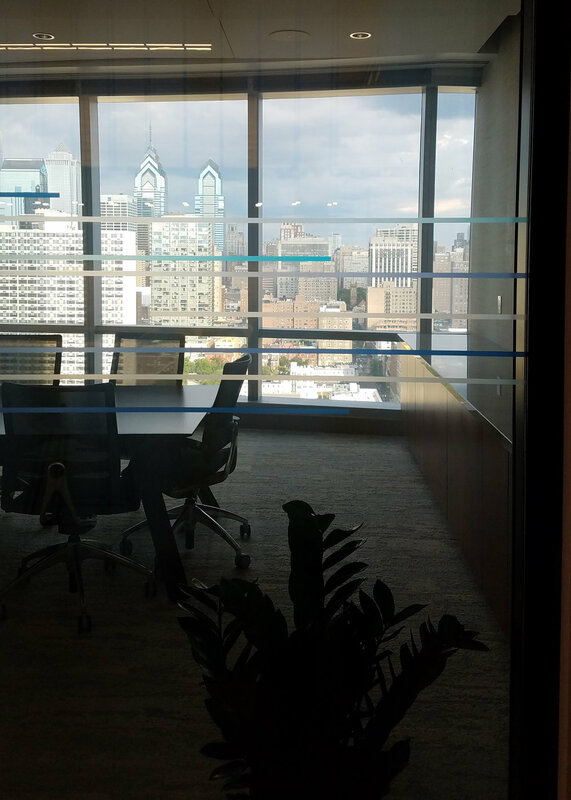 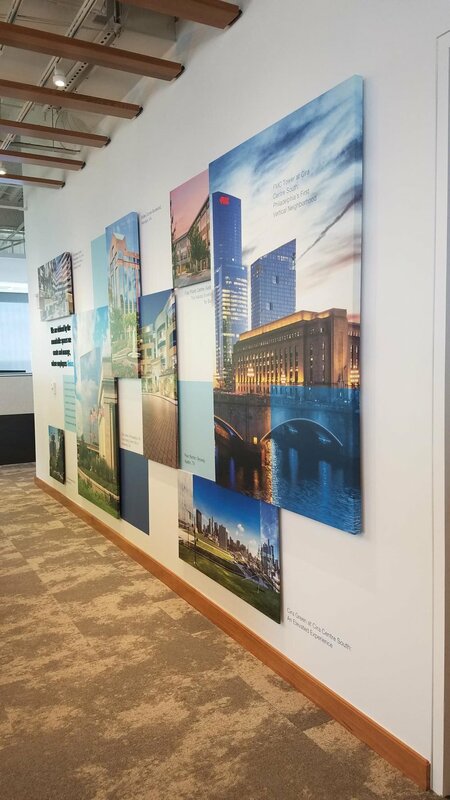 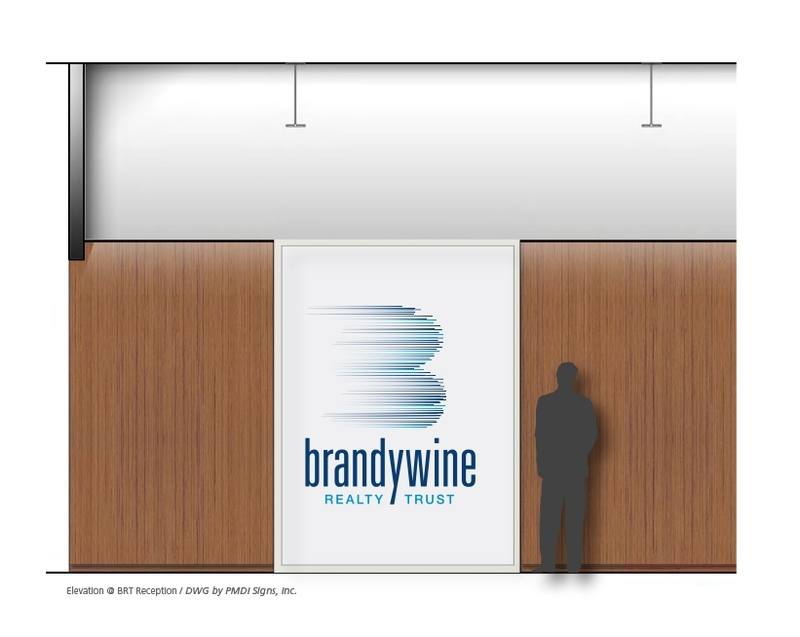 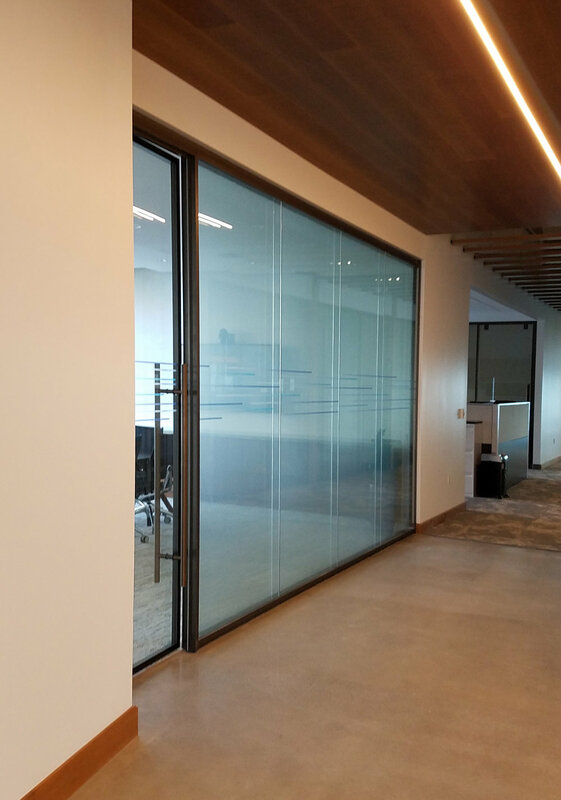 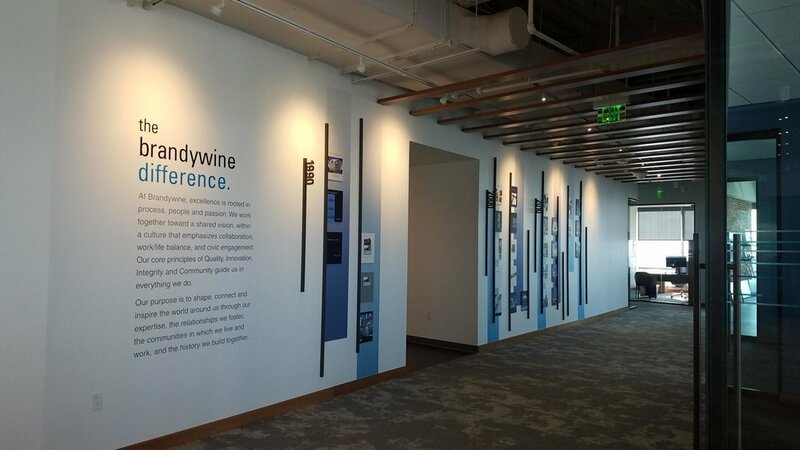 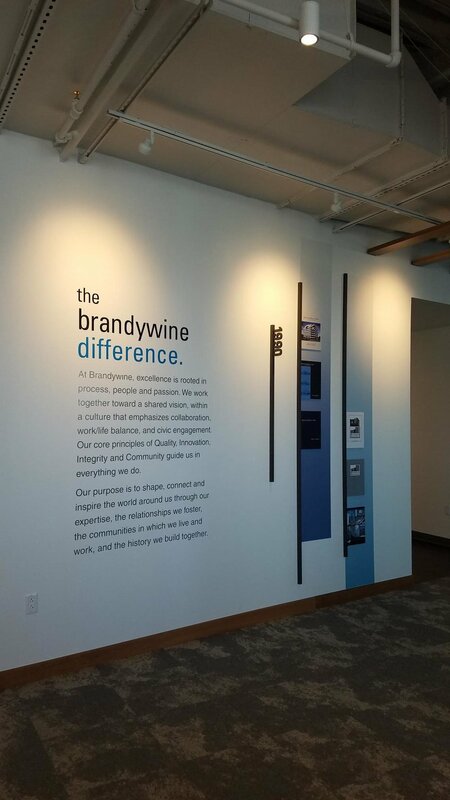 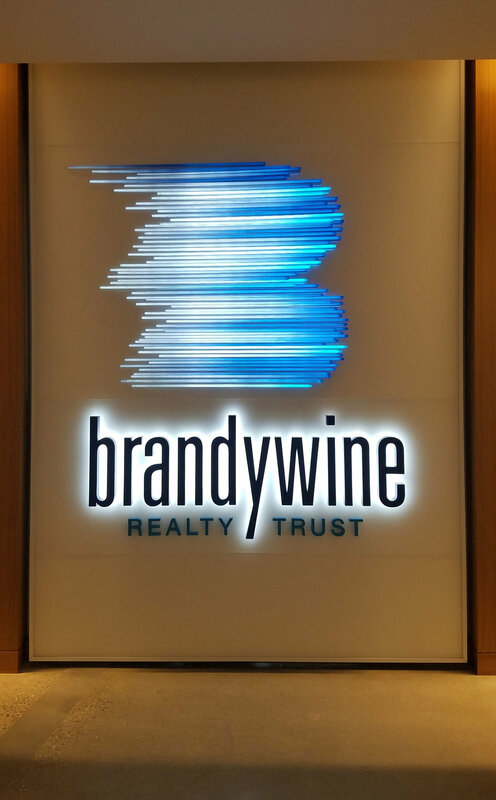 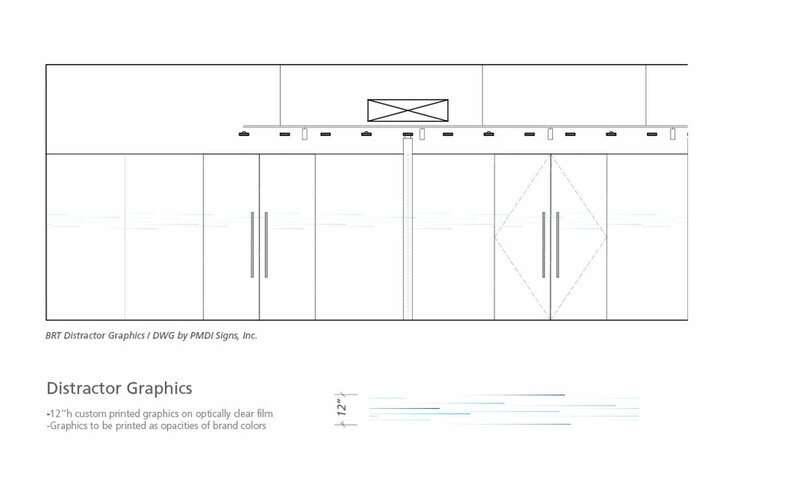 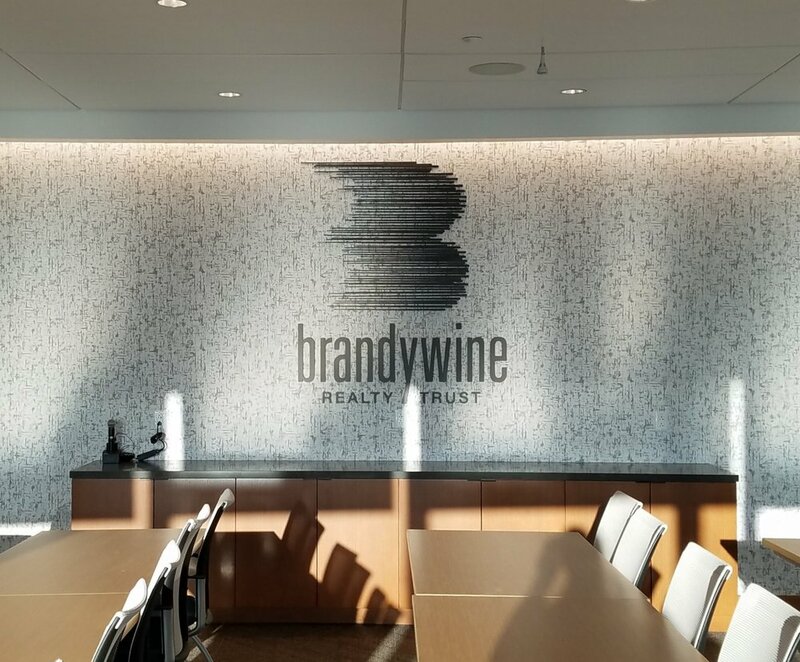 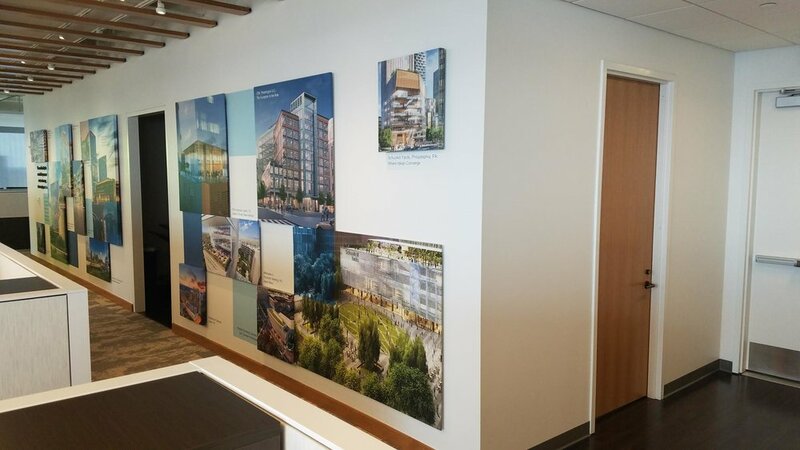 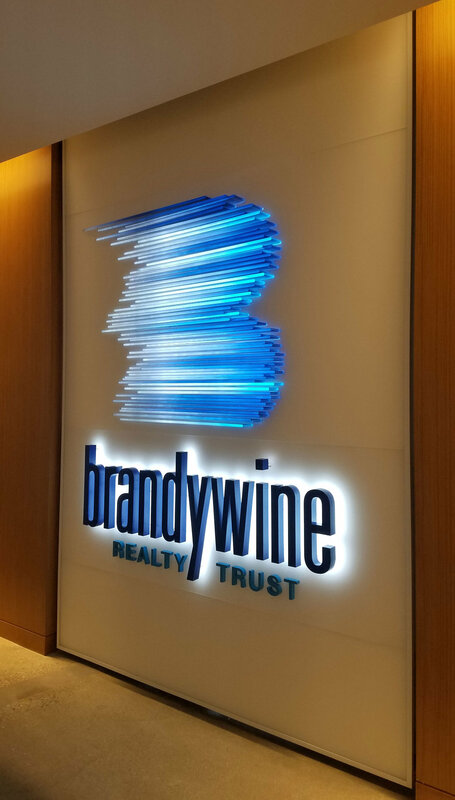 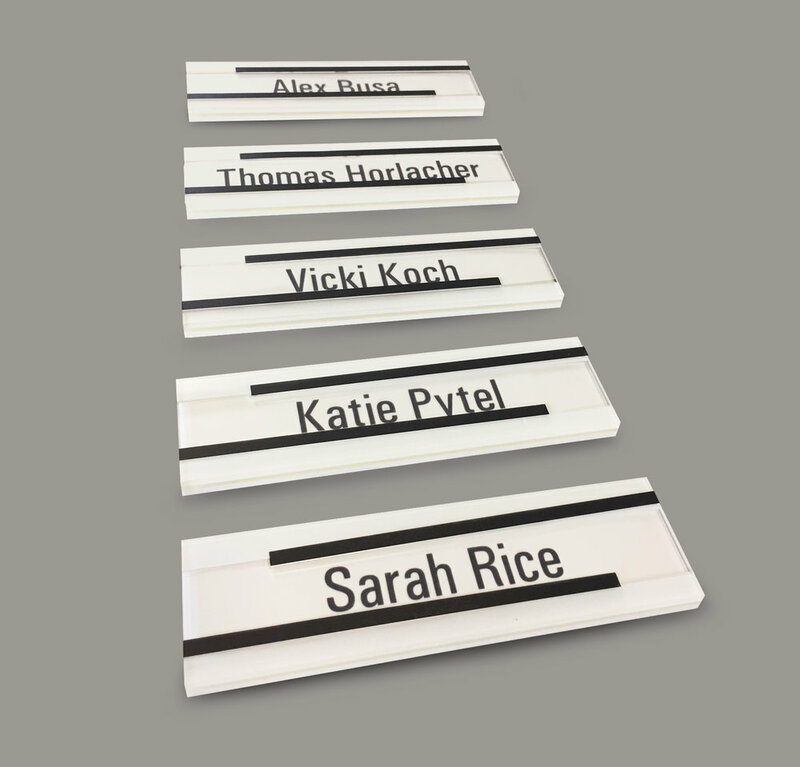 In collaboration with L2Partridge and the Brandywine team, PMDI designed, produced and installed an interior sign package, distractor graphics, and an assortment of specialty installations. 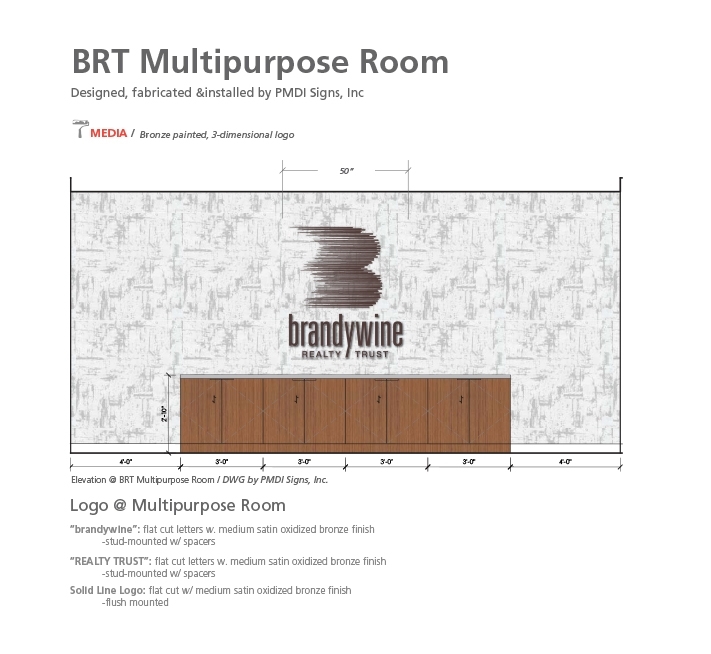 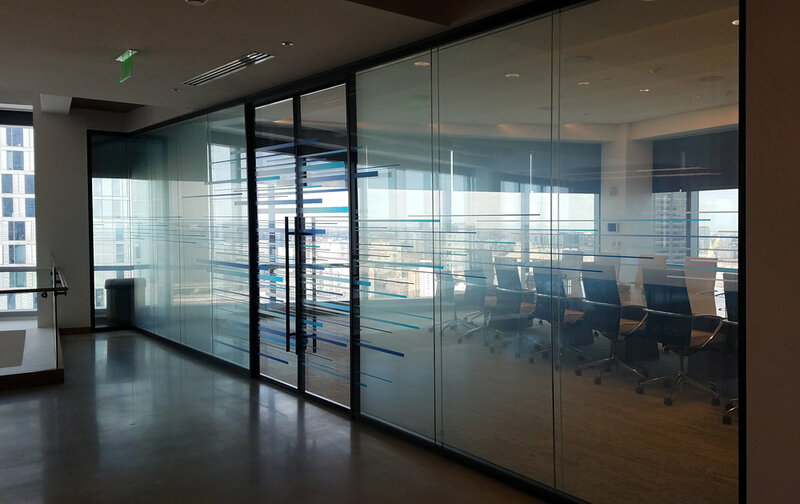 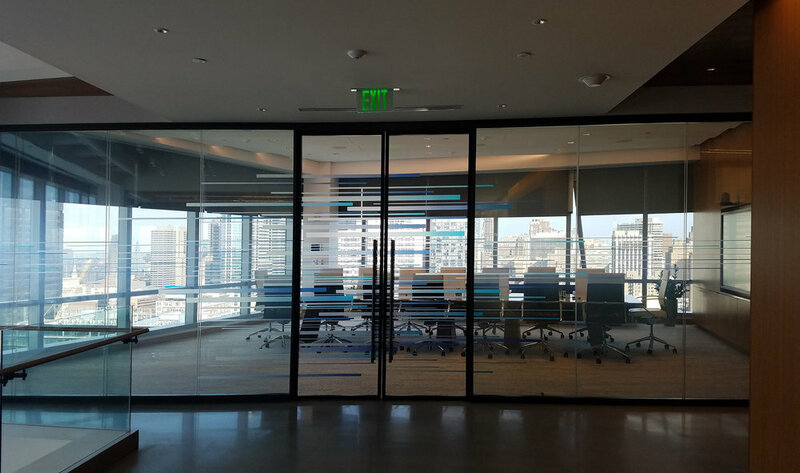 With BRT’s newly incorporated logo and visual identity, it was imperative that PMDI showcase not only the “new era” of the company through the use of the brand colors and logos, but also complement the design of the work space with innovative and custom fabricated wall installations.